Home » Uncategorized » A brief history of "Chemtrails"
We now have proof that our goverment is using chemical agents on populated areas they are adding it to military jet fuel. Have you ever looked up at a vapor trail behind military aircraft flying so high a symbol of Americas power. Look again!! Commerical jets also leave a lovely (non-toxic) vapor trail when the heat from the turbines come in contact with the cool air condencing the water droplets into steam. Softly the lines defuse into the blue sky. So what is different about the military aircraft, the answer is simple, It’s the Fuel JP-8+100 is some really bad stuff. When you look up over the skys of New York City on a clear, sunny morning you see the military aircraft making patterens across the sky with their vapor trails. The smoke is thick and does not go away. When it comes in contact with the sunlight it turns to a purple color, then desipates into a over cast Purple Haze. this whole thing stinks of a Goverment DePopulation Program. Pseudo-color, multispectral images taken April 20, 1994 by a NOAA satellite, reveal a number of contrails over Oklahoma and Kansas. Rogers, does not attribute his strange malady to the mystery jets. But neither he nor his doctors can explain his breathing difficulty, which began shortly after spraying began in November, 1997, and is getting worse. 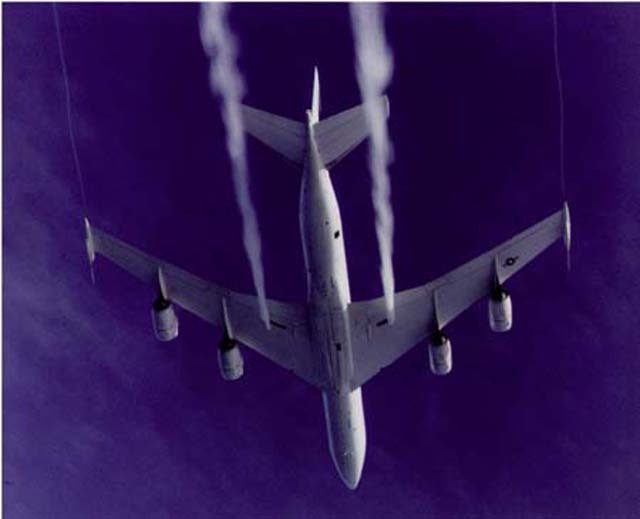 VICTORIA, British Columbia, Canada, April 22, 1999 (ENS) – As unmarked tanker-type aircraft continue spraying sky-obscuring chemtrails over regions of the U.S. and Canada, this writer and American journalist Erminia Cassani have obtained laboratory tests of fully-documented samples of aerial fallout. The samples were tested by a U.S. Environmental Protection Agency (EPA) licensed facility. Art said that after Mr. Thomas’ first program he went out to observe how the jets were flying over his Pahrump, Nevada studio/home. Art was shocked to see aerial spraying, and both he and his wife got sick. Interesting he never noticed this before, but simply talk to William Thomas for four hours, and you start o notice things. minute…maybe chemtrails were deployed to boost cartilage gel sales…! Here we have mention of chemtrail victims, and “joint ache” as a symptom. “rang the Bell” on an investigation financed entirely by your efforts. sharing their valuable time, attention, research and insights. Again referencing the Art Bell show. The “Chemtrails over America” bulletin apparently had issue #1 on march 9, 1999. That also seems to be about the time people started taking photos of normal contrails and calling them chemtrails. Monday a KHOU crew met with Chemtrail Tracking USA Club co-founders Lorie [Kramer] and Dona of Houston and member Rhonda from Ft. Worth, as well as other local members of the Yahoo! based club for the taping of a story on Chemtrails and public concern over their purpose and health impact. Reporter Ron Travino and cameraman Nathan visited for several hours at the house of Lorie, taping, talking, asking questions, and viewing photos and videos. On chemtrailcentral, there’s actually a thread about the history of chemtrails. There people give their recollections of how it all started. Most date it to late 1998 or 1999. A few people report earlier contrails (1989, 1991) , and then surmise it must have started earlier. That does not sound unreasonable, since the earliest reference to the word I have is April 1999. This page claims to be reporting from March 29th 1999, but could have been written after the fact, based on photos taken that day. It’s archived back to October 1999. The original pages from Val Valerian/Valdemar Valerain/O.H. Krill/John Grace, can be found on archive.org. The earliest real mention of spraying on his pages date back to emails 13 Jan 1998. John Grace is a UFO conspiracy theorist who published several books on shadow governments and suchlike, he also faked documents to support arguments in his books. Projects on the TMP web site for links). Ground Zero: Are These in Your Skies? The “Harbringer”, “heavensake” sites are not avaialble. So, it may seem nutty to suggest that chemtrails exist, but it can also be seem as nutty to suggest that the government would NEVER do something like seeding the skies with chemicals such as Barium and Aluminum. Cloud seeding research programs have existed since the 1940s. There is no secret there. The question here is is what we see in the skies every day (contrails) is connected to this. Nothing really suggests this. The author of this site is somehow funny to me. Cloud seeding is a reality and the chemicals used in the process can cause illness. This is a fact not fringe conspiracy theory. Of course cloud seeding is real. Nobody has EVERY said it is not. Did you miss the preceding comment? Chemicals used in cooking can cause illness. It’s the quantity ingested that’s the problem. But what does any of that have to do with the “chemtrail” theory – are you suggesting that the long white trails that persist and spread are deliberate cloud seeding? Which pretty much means that they are not doing it at the time of the act. Yes geoengineering is being talked about, and yes, ONE of the many technologies involved might be lacing the stratosphere with soemthing to reflect sunlight. and all the discussion is about what might be the unintended consequences, will it even work, etc. You can attend meetings all around the world on the topic. Hardly the stuff of a conspiracy to poison us all. 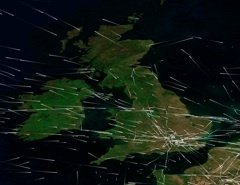 … and the trails we are seeing are (mostly) not in the stratosphere. 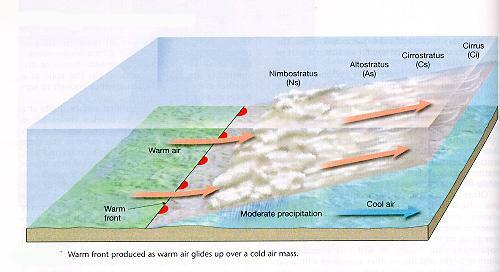 They are in the upper troposhpere or a bit above the tropopause. They are certainly well below where they would need to do this “lacing”. This fellow Luis Alfonso Gámez has a blog called Magonia connected to the Spanish Basque area newspaper El Correo. Senor Gámez has written several skeptical articles on the subject of chemtrails, and caused a bit of a stir. The skeptical website amazings.es has just published a skeptical article “The “The Life of the Fumigated” which references contrailscience.com and includes an interview with a common sense meteorologist. so…. fron the first post… “on 18/9/97….. this whole thing stinks of a Goverment DePopulation Program”. 14 years later, almost to the day, chemtrail proponents still claim de-population as a reason for ‘spraying’. ‘worldometers’ gives todays population as 6.992 billion. Ten years ago when I was a student there were complaints about aircraft landing at a nearby airfield “dumping fuel” over the city. People said they saw low-flying aircraft, and then they got short of breath, they blamed fuel dumping. The trouble was, the aircraft that used the small local airfield were of a type that did not have the capacity to do what they were being blamed for doing. Via occasional look outside while having a smoke-100% rock solid, bullet proof, video cam ease proof. Conspiracy is often a fact you will not recognize until it is found in mainstream publications. Now Scientific American is permitting everybody to accept as fact, go look you are granted permission to believe they exist. The otherwise “fringe looney” who has spoke of this for 20 yrs, no longer needs to exist to the nay sayers- Myself? I would now want to know what the fringe looney is speaking on today! Curiosity killed the cat, i am not a cat….meow…did i say that? Is there any believer in chemtrail-as-government-conspiracy out there that can just explain themselves, as opposed to lapsing into any kind of bizarre dialogue with themselves within the context of the comment they’re making? You people really do your movement no favours at all. Observation without knowledge about what’s going on in the atmosphere (in short: weather) is not going to get you very far. 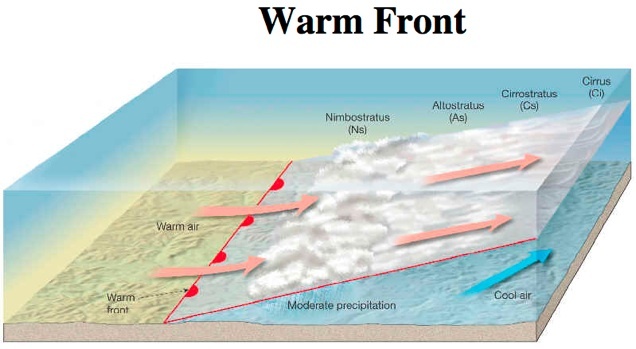 An approaching warm front will ride up over cold air and will be pushed up, cooling down and rising in humidity (relative!). Planes crossing at these moments will be much more likely to create persistant trails, and rain is following later. Your observation is correct, but the trails are not the cause, they are a consequence of bad weather. “Contrails don’t cause weather, weather causes contrails”. I can see how a lot of conspiracy theories might have merit but the whole “Chemtrail” thing is just stupid and reminds me time and again of just how flat out moronic people can be. The interesting thing that stood out to me in this article was the comment about the Chemtrail Theory “morphing for survival” which is exactly what happens when something isn’t right – when it’s just flat out wrong. Proponents of the “theory” will revise it until the details fit in with the rest of society’s idea of what works and doesn’t work, essentially creating an understanding and acceptance, but while the details get manipulated, the overall concept remains the same and that’s the concept that should always be under scrutiny. Think about the conspiracy theories that actually hold weight, like the alien crash at Roswell or JFK – the facts and testimonies in these cases don’t change, whenever evidence comes about – the theories are more supported than ever. Chemtrails don’t hold up to this most basic test, heck, they don’t have witnesses or testimony from anyone of relevance to back up any of this hubbub – all you have is a bunch of jerks in their mom’s basement, with no background in meteorology or aviation for that matter, making silly accusations. I’m the first to admit the government does some grosse stuff, but this just smells of “dumbass”. Why wouldn’t the government weed out the population another way, if they wanted to? LIke maybe release a virus or cut off the clean water supply – poison manufactured foods and so forth. Use your head people, that’s why the ancient aliens gave them to you! Woah this weblog is fantastic i like studying your posts. Keep up the great paintings! You realize, many persons are hunting around for this info, you can aid them greatly.